Audi has been gradually revising its A5 range over the last few months, and in Geneva the flagship model for the range, the new RS 5 coupe, was unveiled. 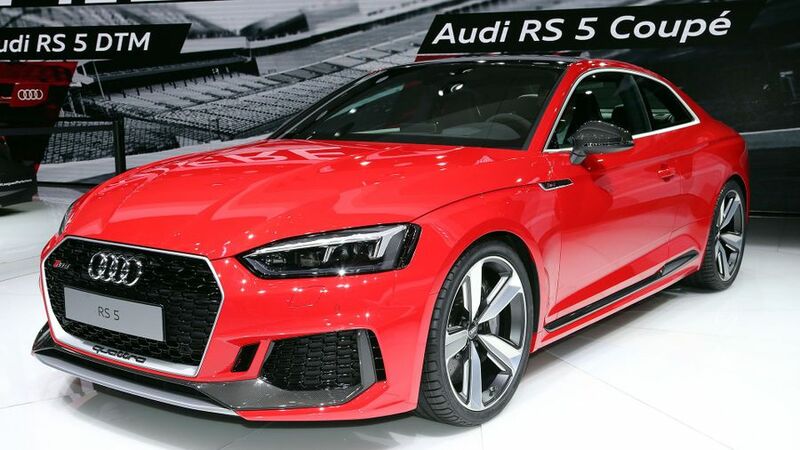 Featuring a newly developed bi-turbo V6 engine, as well as some effective weight-saving, the new RS 5 is not only faster than the model it replaces, it’s also more efficient. It stands out from lesser members of the A5 range thanks to its unique styling. That includes large air inlets with a honeycomb structure, while the radiator grille is wider and flatter than in the basic A5. The headlights are flanked by extra air intakes and outlets; and, the wheelarches are 15 millimetres wider than on the standard car. Meanwhile, at the rear are two oval exhausts, a diffuser that’s unique to the RS 5, and a spoiler. Plus, if that’s not enough, there are also optional black, carbon and matt aluminium packs to tempt style-conscious buyers. For all that, the centre of attention in the RS 5 is the new engine, a twin-turbo V6 petrol unit that develops 444bhp and is enough to see the car dismiss the 0-62mph sprint in less than four seconds. The top speed is limited to 155mph, but if you specify the optional dynamic package, that rises to 174mph. Inside, all this is complemented by suitably upmarket interior, with leather RS sports seats and instruments that are unique to the RS 5. Plus, the car has the very latest in connectivity, technology and driver-assistance systems. As yet, Audi hasn’t confirmed how much the car will cost, but order books will open in May, with first deliveries expected in the summer. Interested in buying an Audi RS5?